As skulls become a growing part of Fish Tank Bank, it only seemed right that I add this sheep skull to the collection. It is slightly larger than most of the fish tank ornaments on this site, but is certainly an eye-catching piece for anyone with the space to accommodate it. Not only is it an impressive piece to look at, but it also serves purposes for fish. The eyeholes can provide hiding places for fish, and even breeding space. It’s maybe a weird place to do it, but at least they won’t be disturbed. 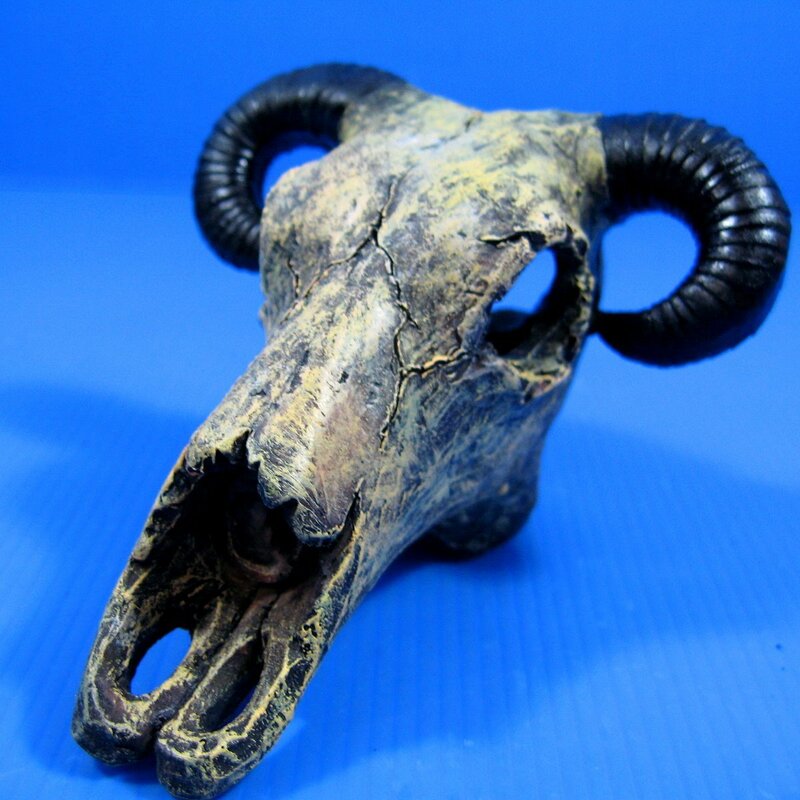 Also, I should point out that this is not a real skull. I would never endorse dead animals on my website, no chance. We are only about fish tank ornaments here. Ones made out of fish friendly materials and not dead animals. How dare you accuse me! If you can’t take my word for it, why not read some recent comments and reviews that other users have left for this product? Only if you really need to, I’m actually a very trustworthy person. Honest. Click here to see a collection of recent comments and reviews from happy customers. Not including me! 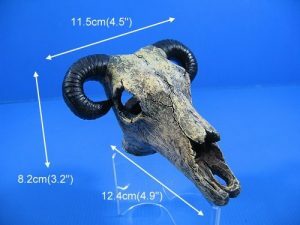 The skull is made from a special resin that is easy to keep clean and is safe for fish and plants.